Your Emergency Dentist in Washington D.C. Says Don't Panic! Your Emergency Dentist in Washington D.C. Says Don’t Panic! During this time of the year, the perfect day involves hanging out with family and shopping for gifts. There’s a road block in the way today, though – a painful toothache. You desperately need relief, but you’re not sure what to do. Your emergency dentist in Washington D.C. says don’t panic because there is help for you. Here are the initial steps to take for relief. We’ll start by developing a working definition of a dental emergency. 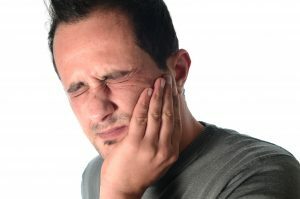 It’s any situation that causes a sudden change in the condition of your oral health that results in pain, bleeding, malfunction, severe damage or the loss of a tooth. As stated above, it’s important to fight the urge to panic once you discover you have a dental emergency. Instead, you should reach out to your emergency dentist to schedule an appointment to receive care. Meanwhile, there are things you can do at home to stabilize most emergent situations until you can be examined. A dislodged tooth is one of the more common types of dental trauma. It can be caused by a bad fall, blunt impact during a sporting event or other unfortunate situations. The first step is to grab the tooth by the crown and attempt to place it in its rightful position. If that isn’t possible, you can soak the tooth in a cup of milk until you can be seen by your emergency dentist. This will help to keep the roots alive. If one of your teeth is cracked or broken, after contacting your dentist’s office, you can carefully bite down on a cotton gauze to stop any bleeding. If there are any broken pieces of the tooth, you can gather them into a bag and bring them to your emergency dental visit. For certain restorative procedures, you’ll have a temporary crown placed to protect your teeth while the permanent fixture is being fabricated. If it dislodges, though, it leaves your tooth vulnerable to infection. Thus, it’s important to reach out to your emergency dentist to schedule an appointment to have the fixture re-attached. During the holidays, a dental emergency is the equivalent to waking up to pieces of coal in your stocking, but with the help of your emergency dentist, you can soon be restored and ready to celebrate the winter festivities! Dr. Yelena Obholz has a vast a background in periodontics, oral surgery and prosthodontic treatment, and she combines her education from New York University College of Dentistry with years of experience and a commitment to excellence to help patients recover from dental emergencies. Dr. Obholz practices at Aesthetic and Family Dentistry, and she can be reached for more information through her website. Comments Off on Your Emergency Dentist in Washington D.C. Says Don’t Panic!